Playa del Carmen has a great central spot on the Riviera Maya, about 70kms south of Cancún and just across the waves from Cozumel. It doesn't have the perfect waters of those resorts or sand quite as soft and perfect as the beaches further north, but Playa del Carmen is hip. And packed with Europeans who know this is where to find the best boutique hotels and coolest shopping, bars and restaurants. 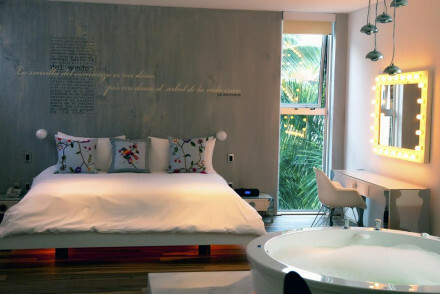 Some of the best places to stay in Playa del Carmen are pretty chic. If you're here to see and be seen, hang out around the Quinta Avenida, or on any stretch of beach. This is an easy town to get around - you'll find a lot within walking distance and the main street is pedestrianised for most of the day. And if you're looking for a lively evening out you'll certainly find it here. For those who want to do a bit more than relax it's definitely worth exploring Playa del Carmen's underwater world. Dive if you can, or snorkel if you don't fancy it, and you've a good chance of meeting sea turtles, giant eels, graceful rays and a rainbow of fish, all backed by some extraordinary corals. Playa del Carmen is also about an hours drive from Sian Ka'an Biosphere Reserve, a large area of protected forest and mangrove, with more amazing snorkelling opportunities and all sorts of exotic animals to spot. The Yucatán Peninsula's cenotes, or flooded underwater caverns, are another unusual place to go exploring. Playa del Carmen is also a great spot for fisher-folk, with many local restaurants very happy to 'serve up' your catch. But make sure you plan your trip well ahead, the best places to stay in Playa del Carmen are busy year round! 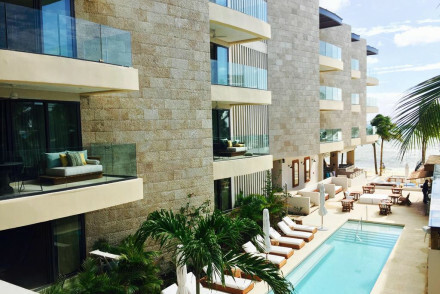 The Thompson Playa del Carmen is a chic beach property with 120 contemporary, minimalist rooms with large terraces and epic views. Their Mexican restaurant is right by the beach, but there’s also a hip rooftop bar serving memorable cocktails. Playa del Carmen’s Viceroy Riviera Maya is a a stunning collection of 41 rooms and villas surrounded by tropical forest and white sand. The restaurant specialises in exceptional seafood and there’s a fantastic Mayan spa. Great if you want to relax on the beach or try every watersport under the sun. Kin Sol Soleil, just up the road from Play del Carmen in Puerto Morelos, is a tranquil property right against a white, sandy beach. There are just ten rooms with a Mexican feel, contemporary art and antique furniture, There’s also a stunning pool. Belmond Maroma is a 63 room hotel sitting between one of Playa del Carmen's best beaches and the jungle. Maroma has amazing facilities including numerous pools, a beautiful spa and and access to yoga, snorkelling, diving, windsurfing kayaking, riding, fishing, surfing and everything you need to get married. Casa Ticul is a relatively new adult's only, 20 bedroom boutique hotel with traditional decor but all the mod. cons.. There's a small outdoor pool and you're well located for exploring town and the beach. Rooms start from around £85 per night. Some of the Hotel La Semilla's nine rooms start from around £110 per night, but this is a more stripped-back and fashionable property, with well chosen flea-market furniture and no TVs. Soho Playa is in just the right district, surrounded by cool bars, good shopping and a hip vibe - and all just a few steps from the beach. They help you get into the right frame of mind with yoga and meditation in the mornings. Be Playa is a chic boutique property with contemporary rooms with wood floors, hot tubs and excellent views. There’s also a rooftop pool, a hip bar and a creative seafood restaurant. Browse the options at our online partner Booking.com. The nearest airport to Playa del Carmen is Cancun (37 miles). For car hire, visit our online partner Rentalcars for the best rates. The best time to visit Playa del Carmen is from December to April. The rainy season lasts from May to September, and hurricane season runs from June to November. Expand your search to include the best places to stay on the Riviera Maya. 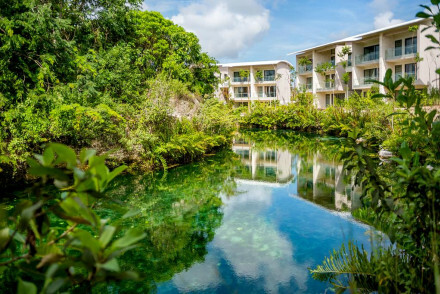 Alternatively look at the best places to stay in Quintana Roo. Intimate, adult-only boutique hotel combines traditional looks with contemporary comforts. Bright rooms and the courtyard swimming pool make this an ideal place for exploring by day, and relaxing in the evening. Breakfast is served poolside and is the perfect way to start the day. Great beach spot. Romantic Break - An adults only hotel built for romance, the palatial suites come with private terraces and hot tubs. 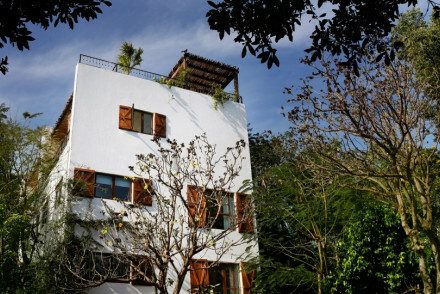 A chic boutique property in Mexico's beach resort town of Playa del Carmen. Contemporary rooms feature crisp white linen, clean lines, wooden floors and the best have hot tubs with a view. A rooftop pool, hip bar and creative seafood restaurant really make this hotel stand out. Beach Life - Boasting a rooftop pool, seafood restaurant and located just minutes beach. 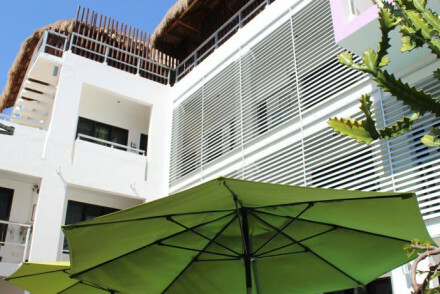 The adult-only Hotel La Semilla is located in the coastal town of Playa del Carmen, just 200 metres from the beach. With romantic rustic accommodation, furnished in a shabby-chic style. Enjoy splendid buffet breakfasts each morning and relax in the terrace with a drink! Intimate and boutique. 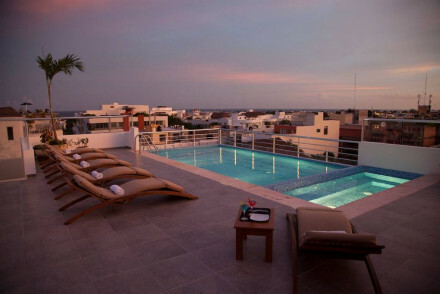 Urban hip hotel in cosmopolitan neighbourhood of Playa del Carmen, sprinkled with good restaurants. Close to the beach, with roof top pool. Start with early mooring yoga or meditation on the terrace with ocean views. 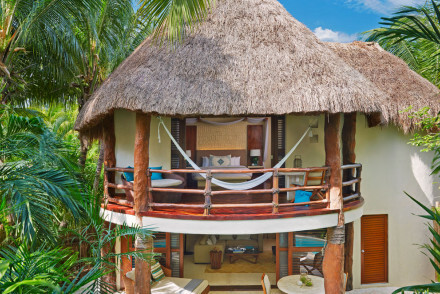 Pretty colourful Mayan style rooms, with balconies and hammocks. A chic beach property with a youthful energy. Contemporary rooms are minimalist in style with epic views, large terraces and luxurious bathrooms. Dine on Mexican cuisine by the beach or on the hip roof terrace. The bar is also on point and serves superb cocktails. A beach haven. Beach Life - A stunning beach, lively nightlife scene and plenty of sunshine. The perfect Mexican experience. Diving - The nearby island of Cozumel offers excellent scuba diving opportunities. Sights nearby - Explore the Mayan remain in the ruined city of Coba. A slick beach side property offering contemporary style in a truly tropical setting. The Andaz stamp assures quality and this property does not disappoint. Cleanly designed rooms make the most of the epic sea views. A handful of restaurant will keep everyone happy and the activities are boundless. Total relaxation - A 'has it all' property placed on a gorgeous stretch of beach. Sights nearby - Visit the majestic archaeological ruins at Chichen Itza and Tulum. Stunning private villas surrounded by tropical forest and white sands. Watersports abound, delicious fresh fish restaurant, and fantastic Mayan spa to top it all off. A thrill for spa-junkies and beach seekers alike. Beach Life - Whether it's sitting sipping a cocktail on the white sands or kite surfing across the bay- this is a beach bums paradise! Private villas - Private luxury villas only. 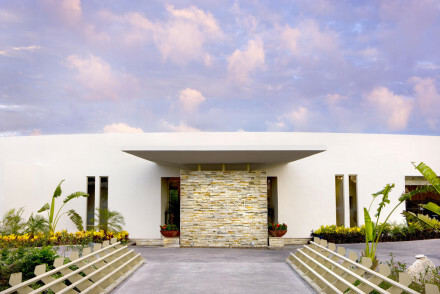 A secluded luxury property set away from lively Tulum. Stunning suites are simply designed with large glass to ceiling windows, enormous contemporary bathrooms and dark wooden furniture set against white walls. Easy access to white sandy beaches and superb cuisine. Beachside perfection. Beach Life - A chic luxury property based on a gorgeous white sand beach with crystal clear waters. Sights nearby - Visit the famed Mayan ruins of Chichen Itza.